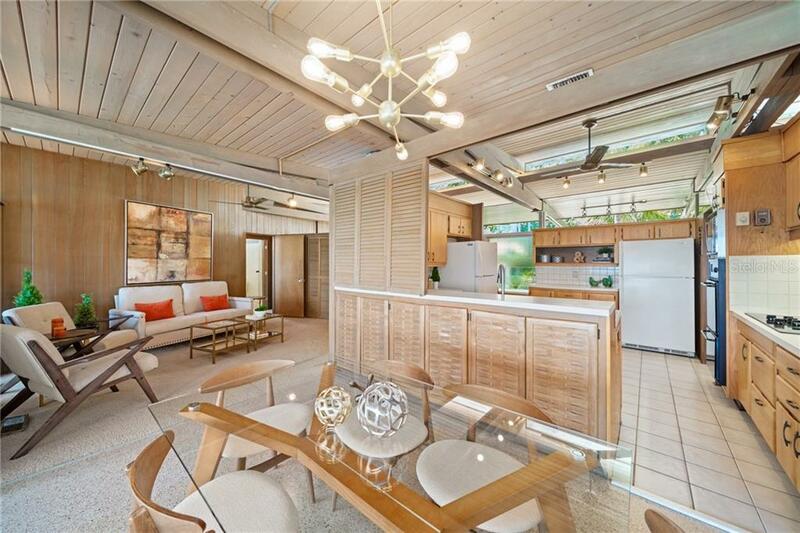 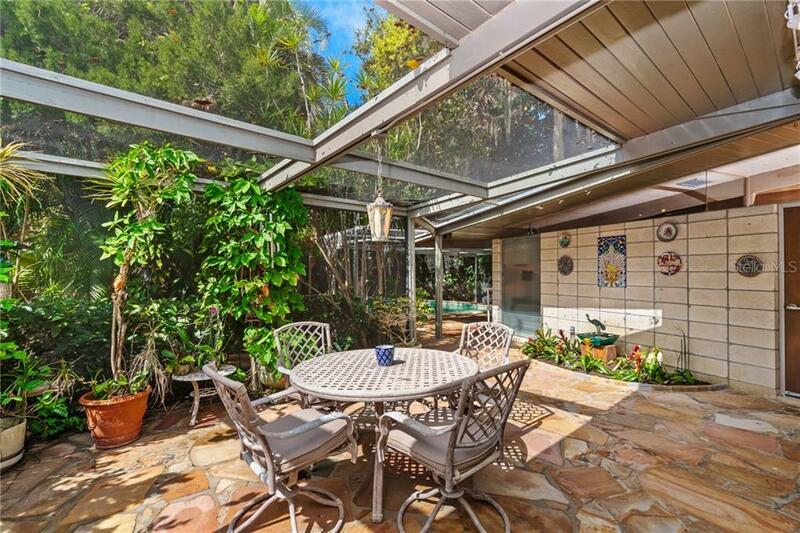 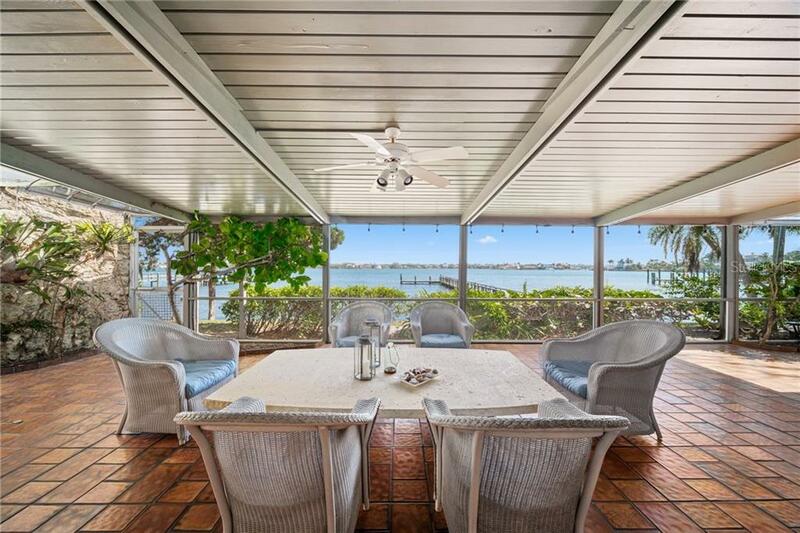 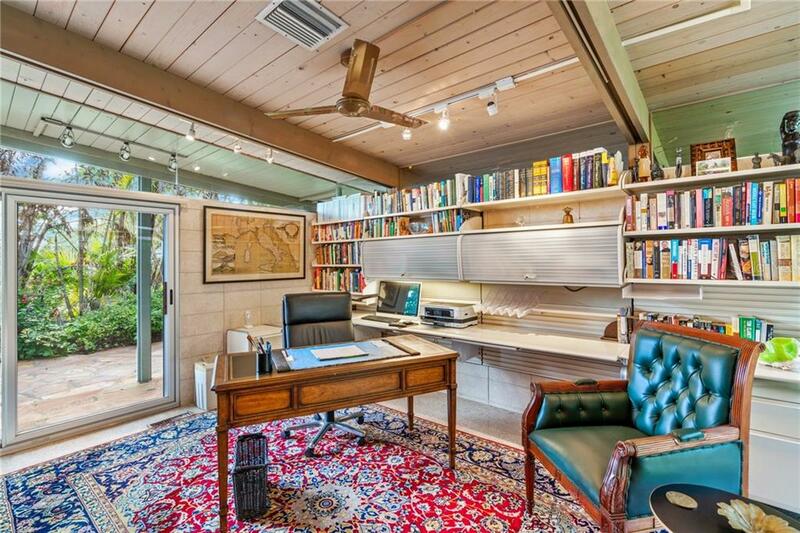 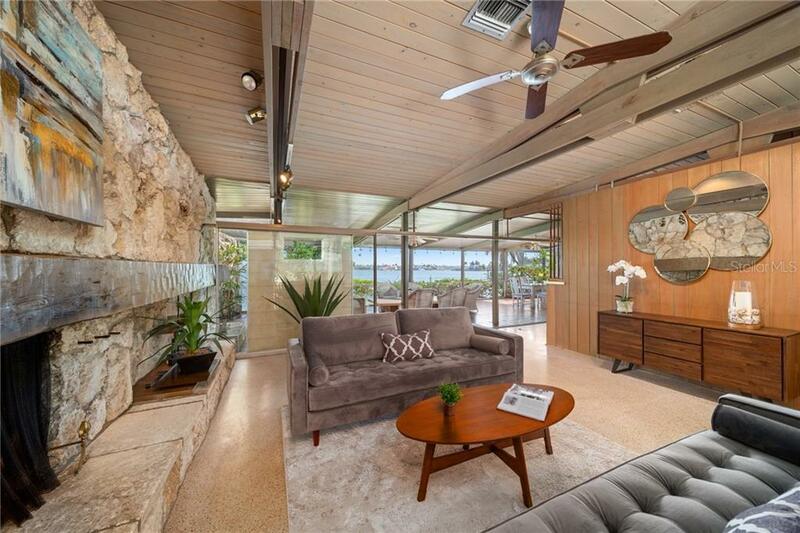 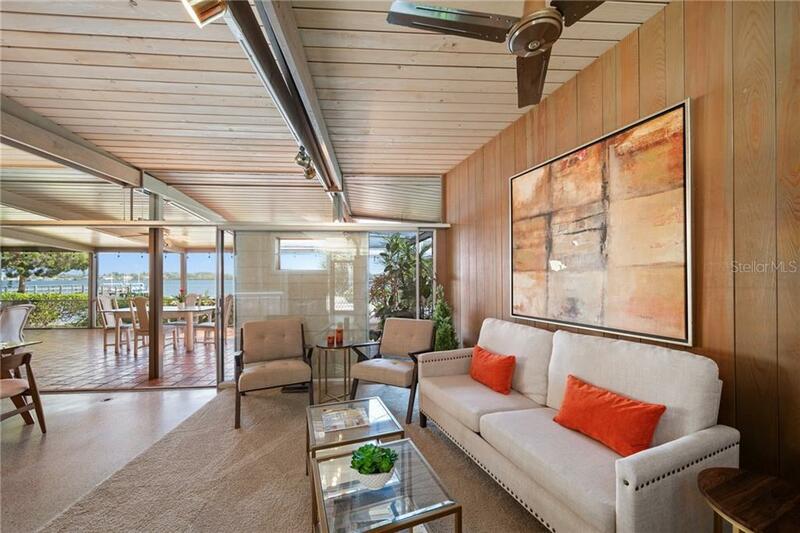 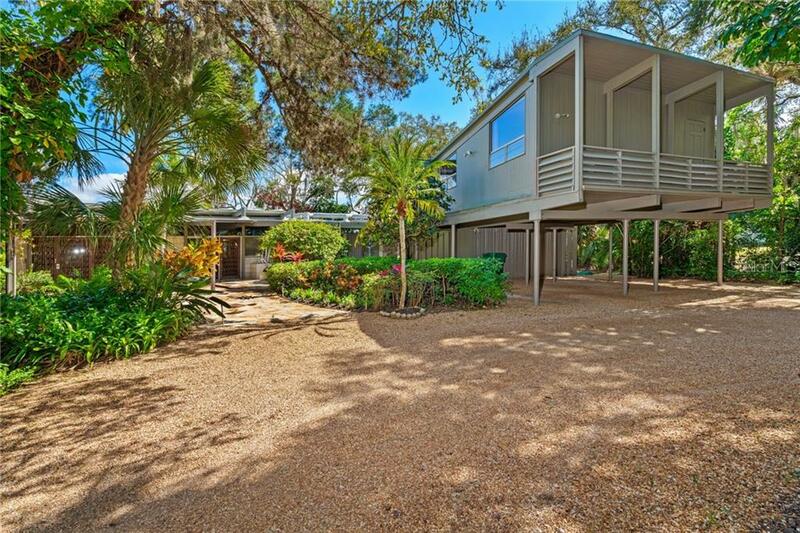 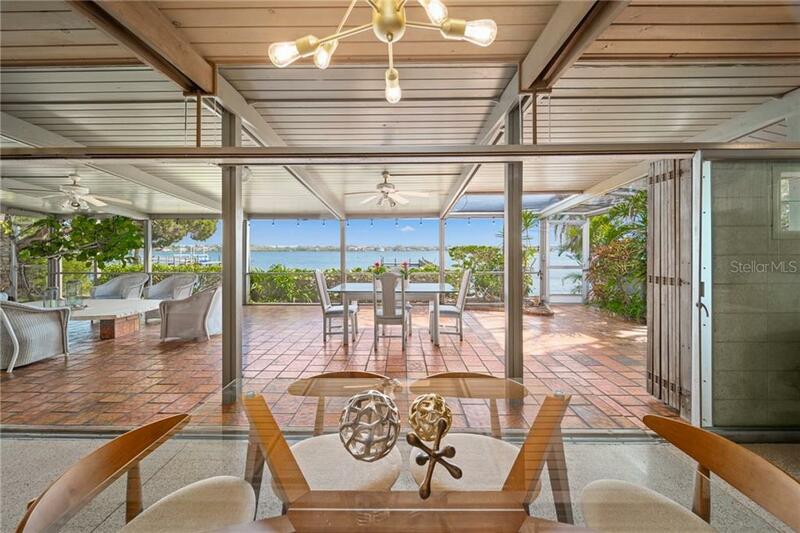 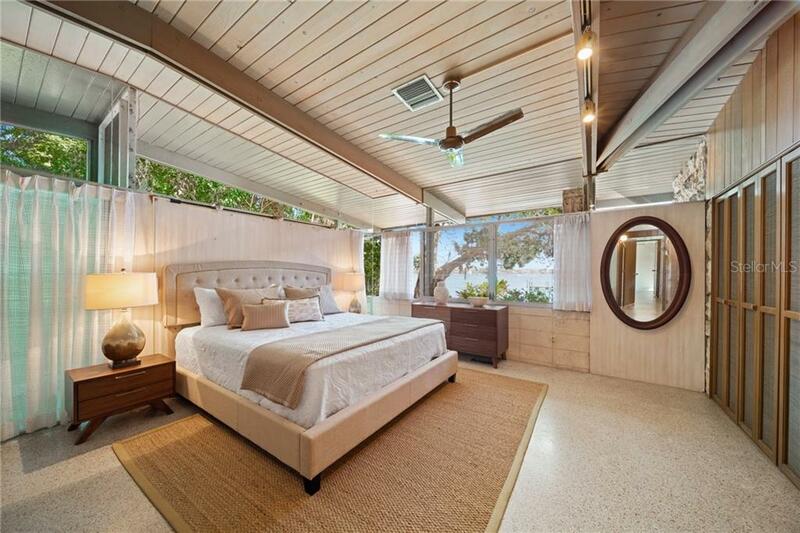 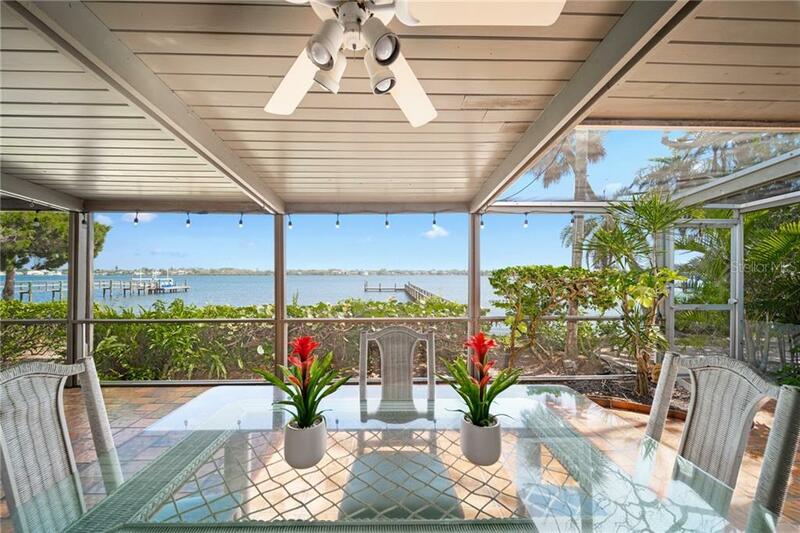 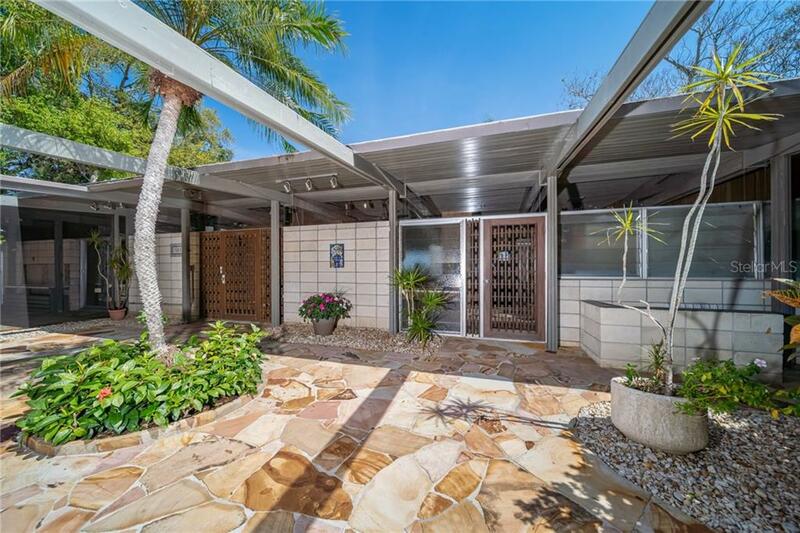 Designed by one of the fathers of the Sarasota School of Architecture, this waterfront Siesta Key estate by architect Victor Lundy is a step back into mid-century Florida. 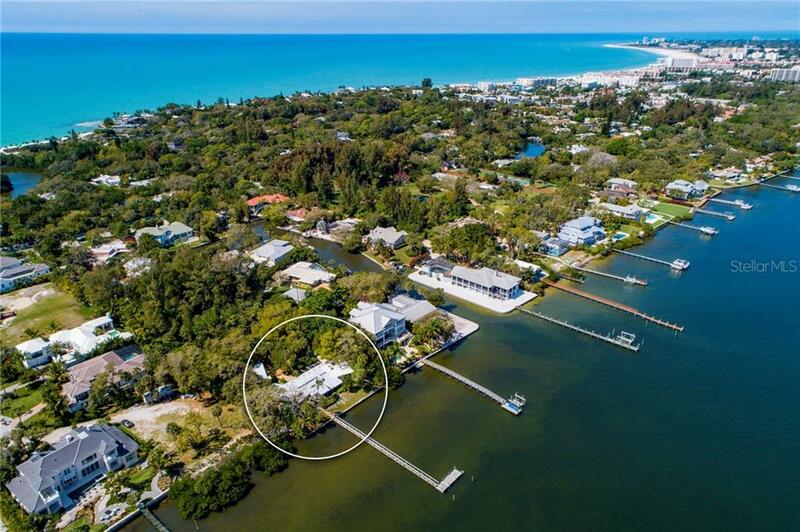 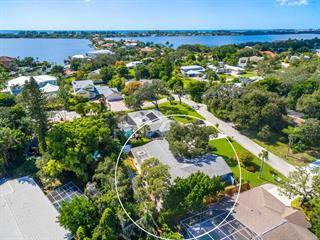 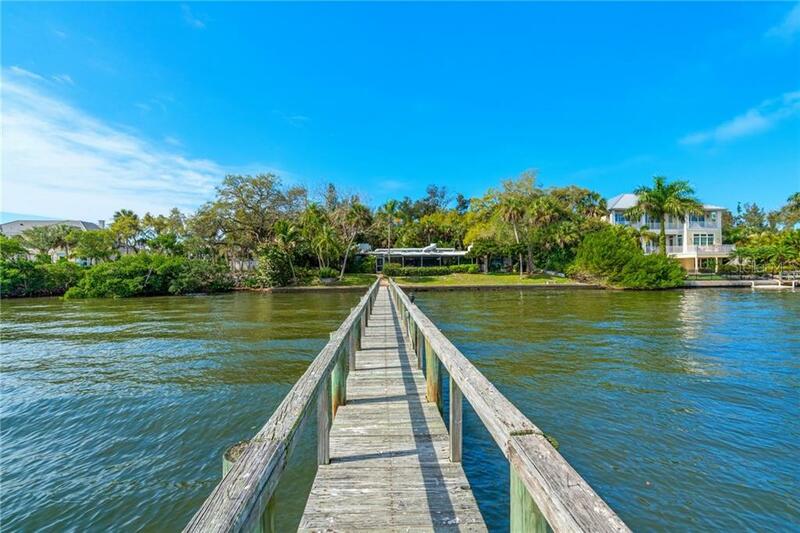 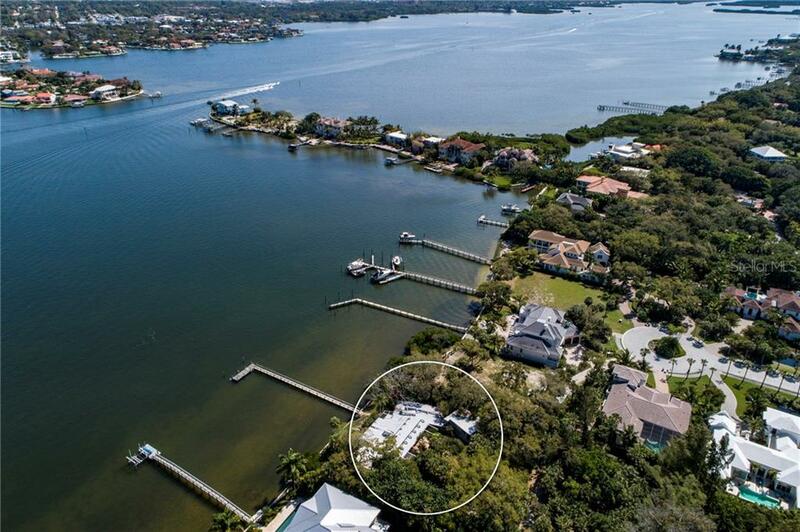 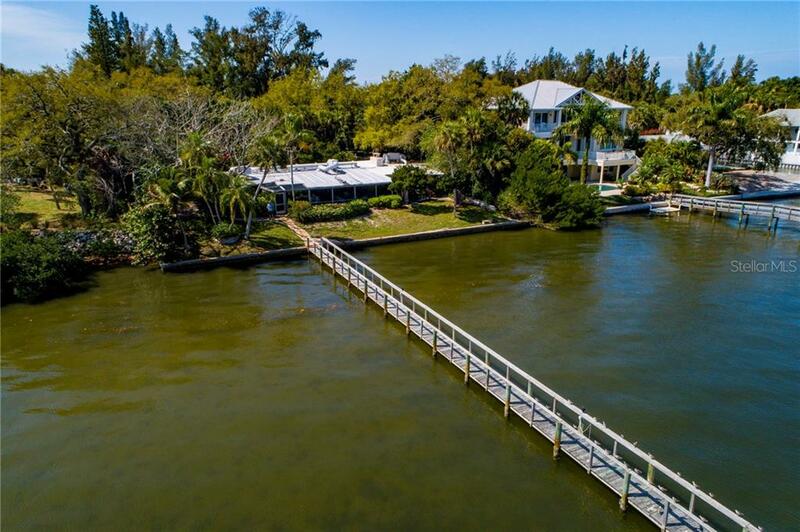 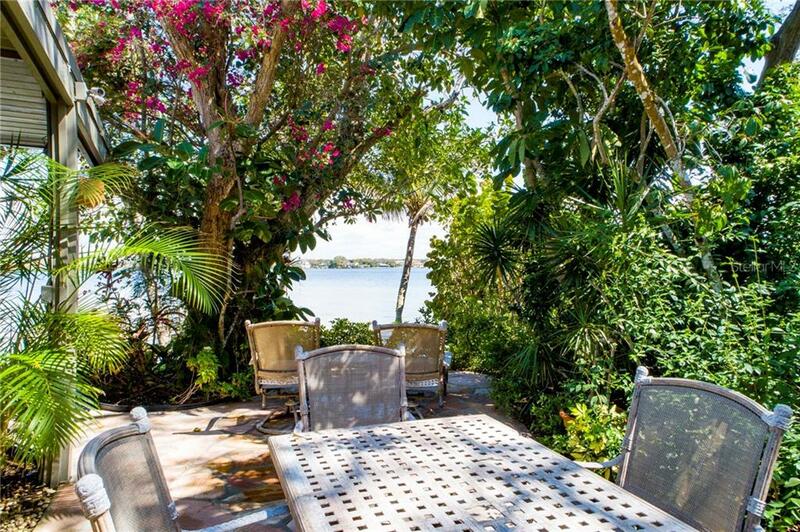 Crowning majestic views of Little Sarasota Bay, an Eden of trop... more.ical plantings, mature shade trees, and vibrant flowers surround the private 1.4-acre property. 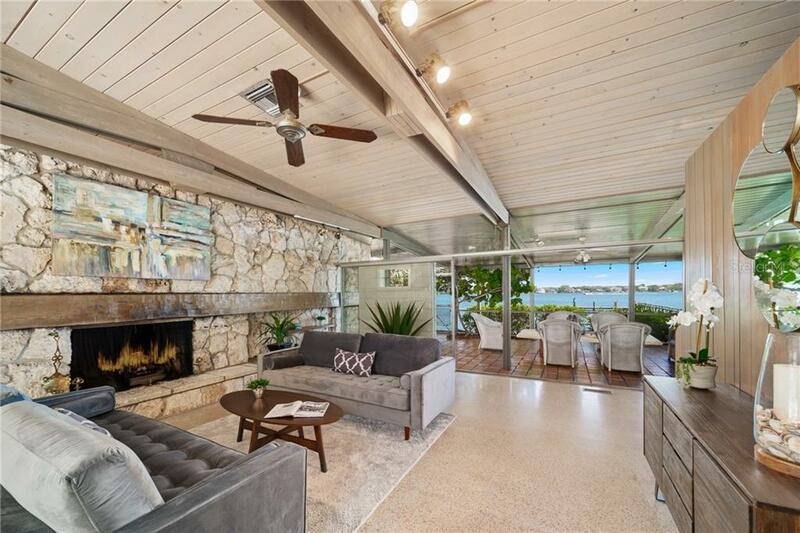 The four-bedroom home is the epitome of Sarasota modern with honest materials, an open floor plan, ample natural light, built-in cross ventilation, walls of glass, and an unmatched expression of indoor/outdoor living. 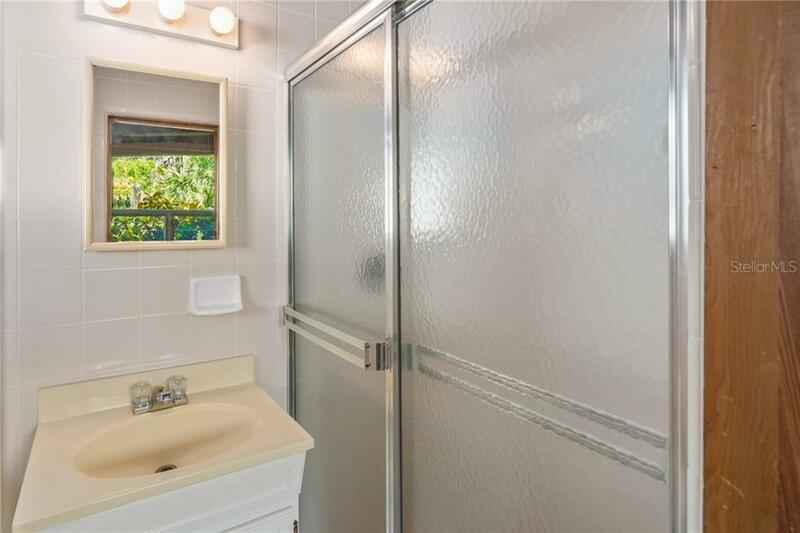 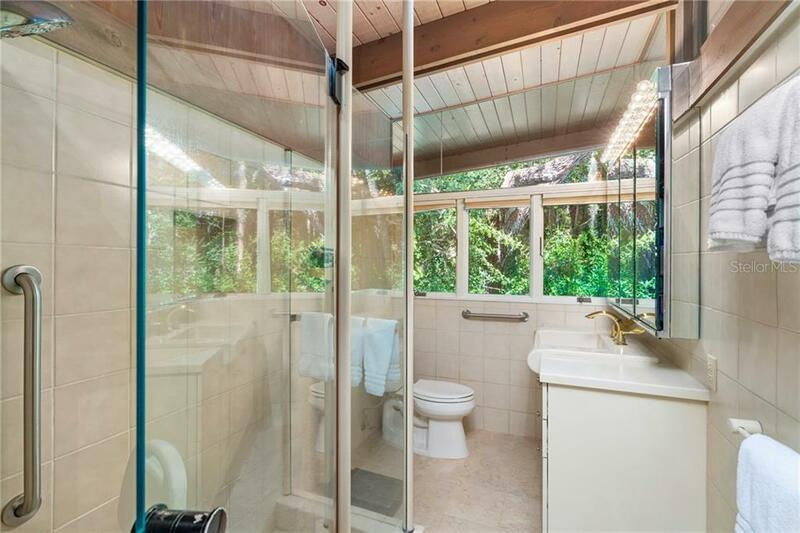 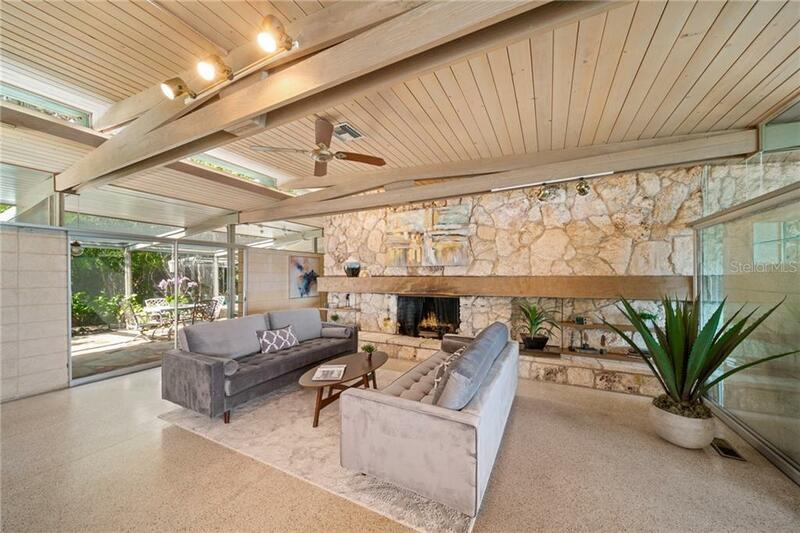 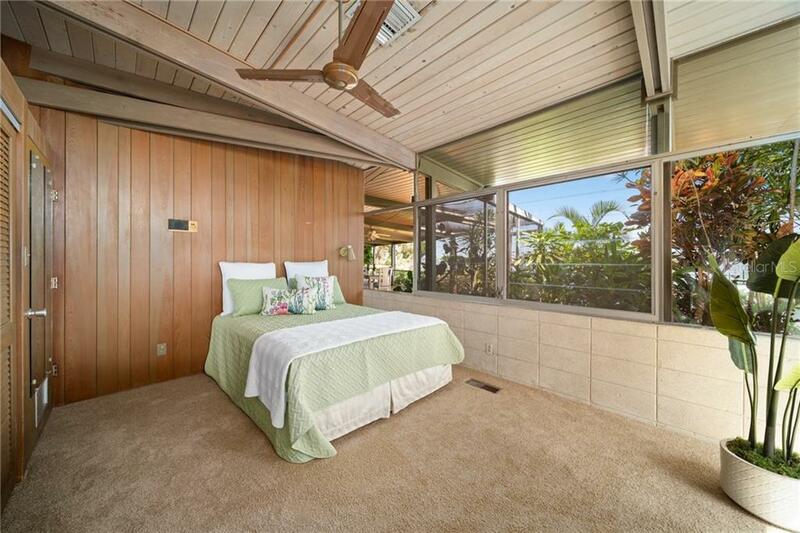 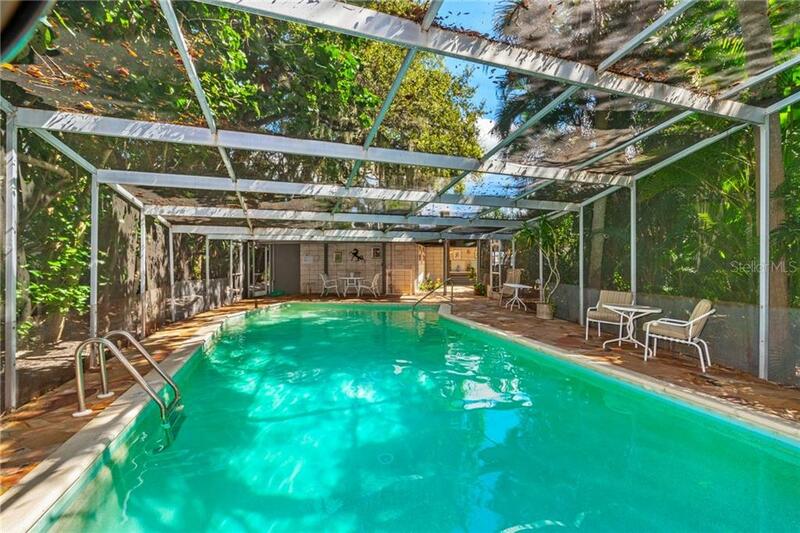 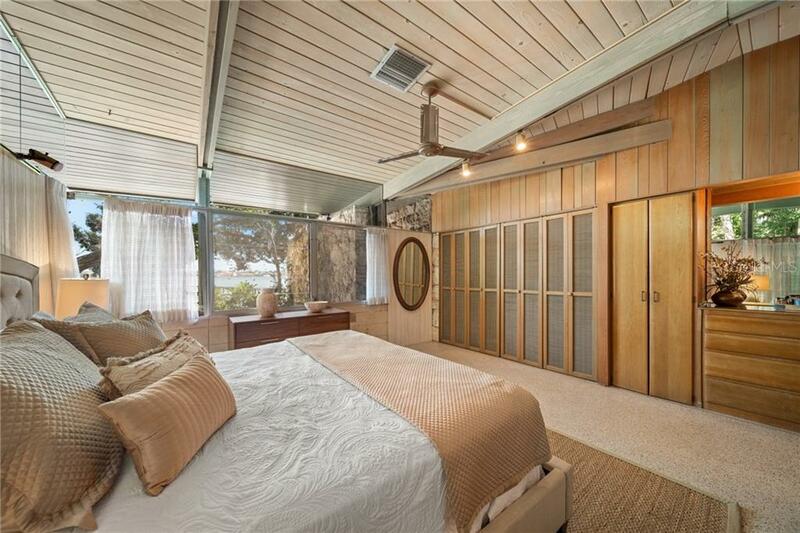 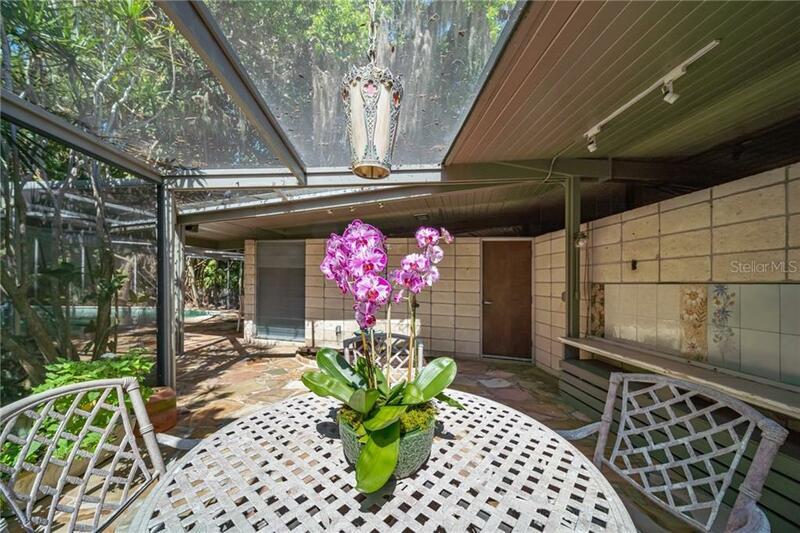 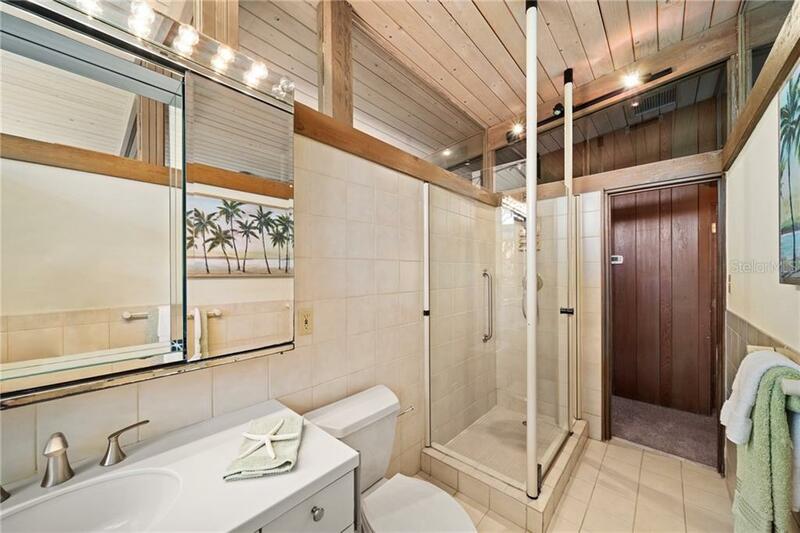 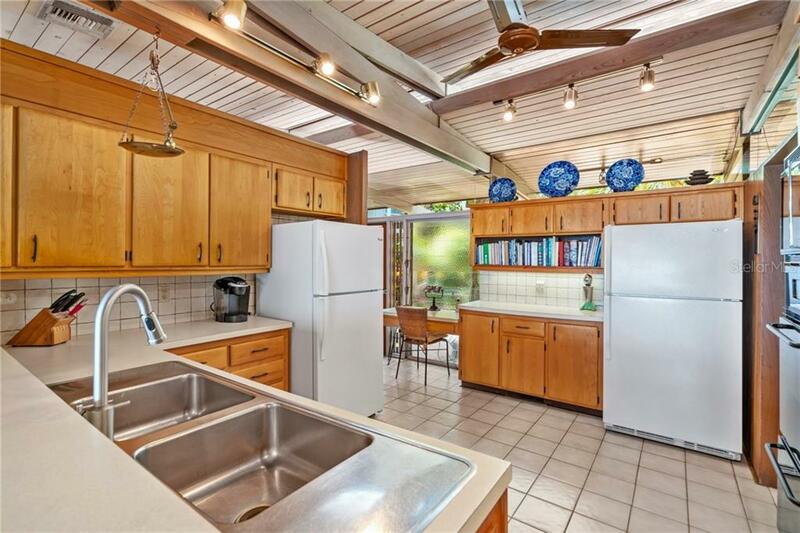 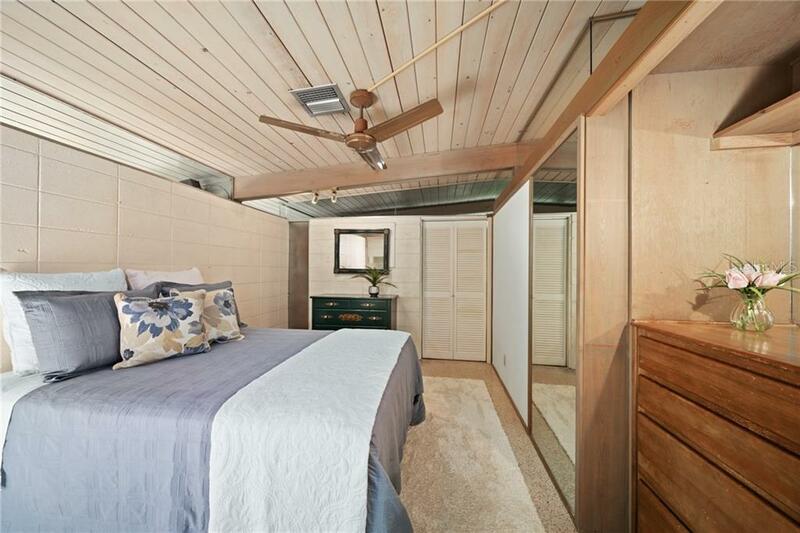 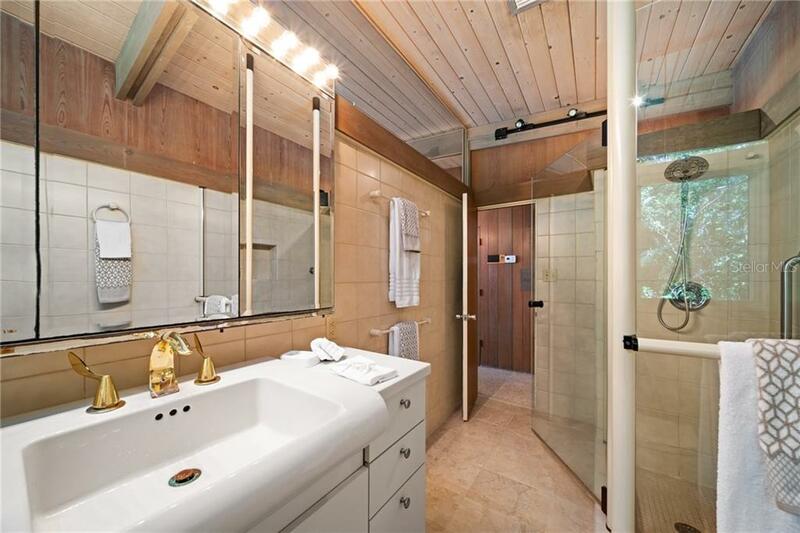 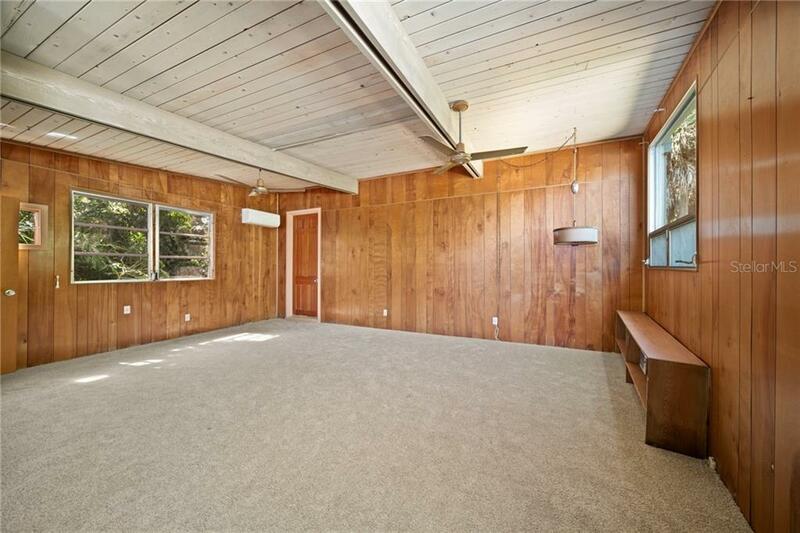 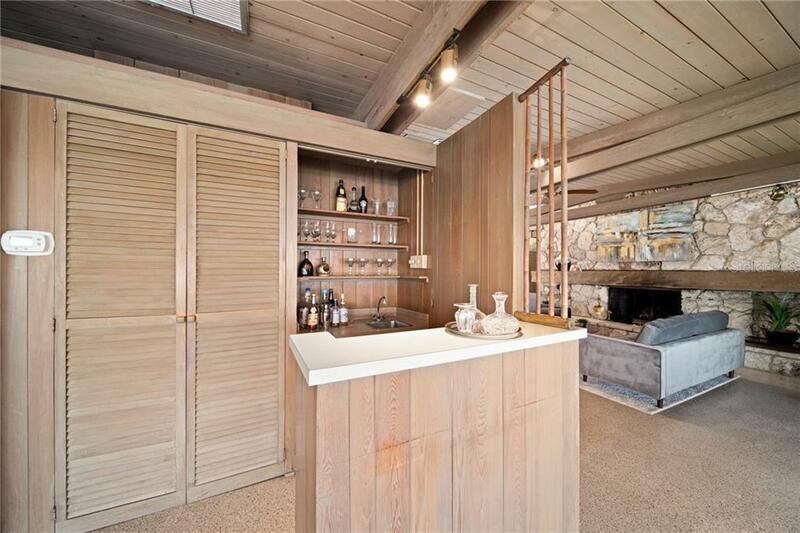 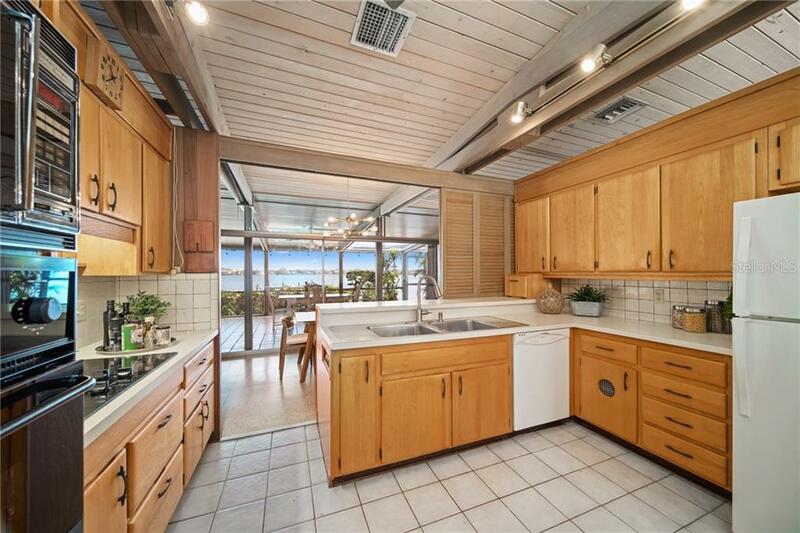 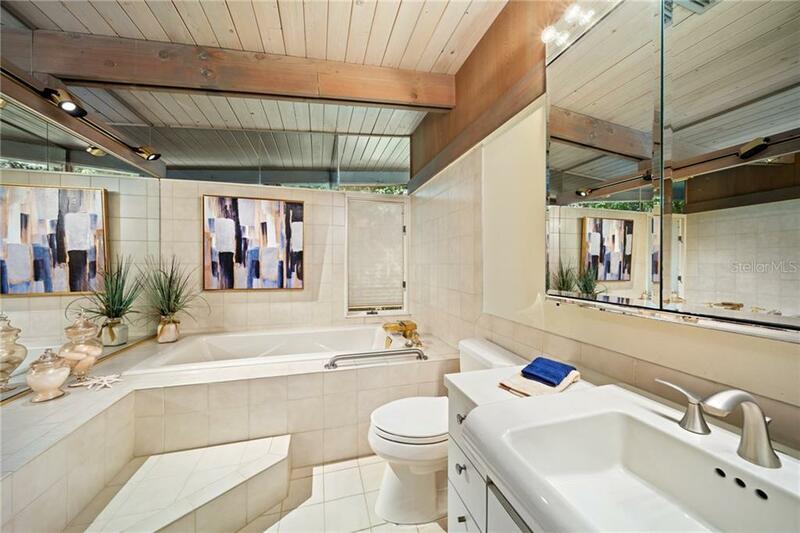 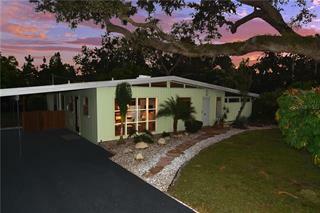 Lovingly maintained, architecture enthusiasts will appreciate many features authentic to the original 1958 home, including wood siding, Ocala block, jalousie windows, terrazzo floors and more. 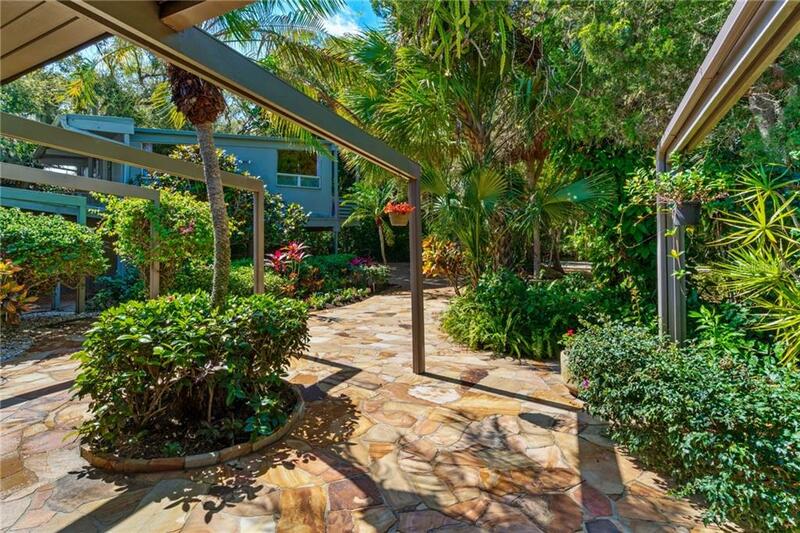 Gracious areas for entertaining extend onto covered outdoor areas and sun dappled screened lanais. 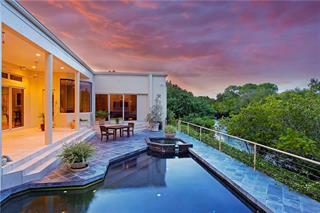 Restore, update, adapt the design, or build your own dream home to suit your taste and lifestyle needs. 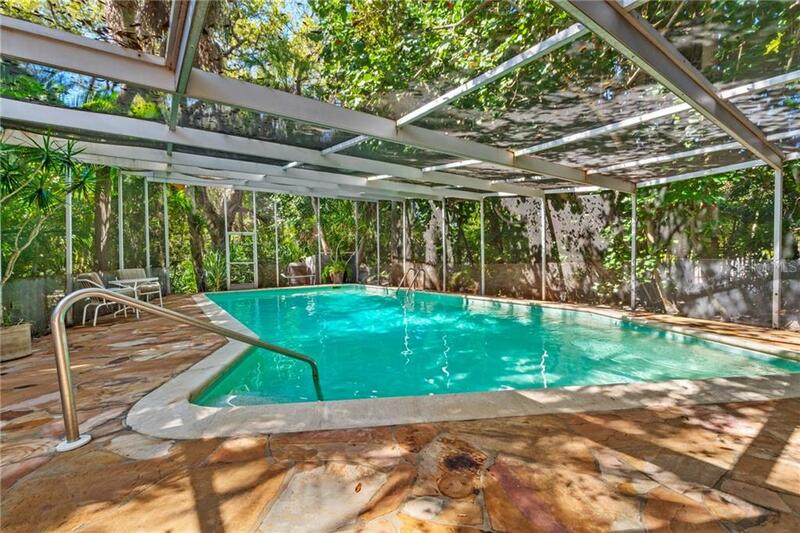 The expansive pool area is wrapped with a near-forest of tropical trees. 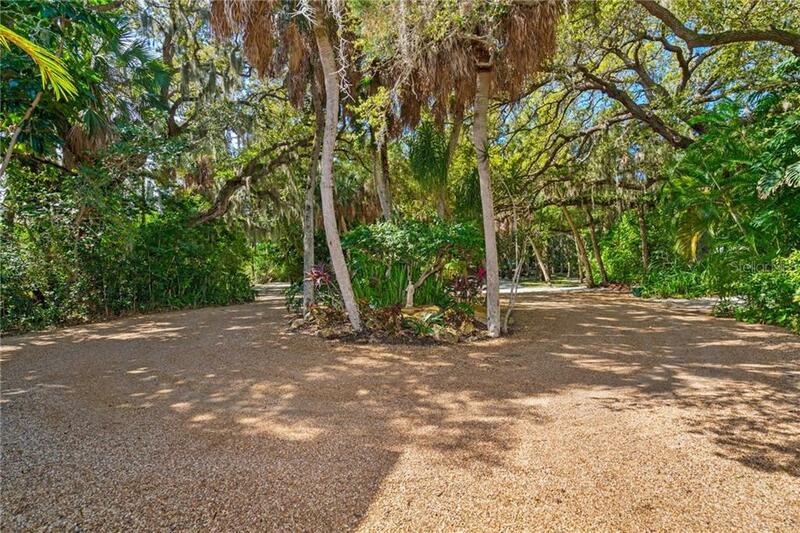 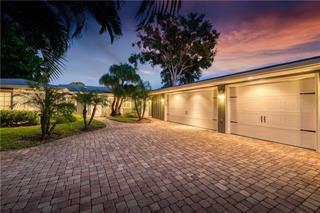 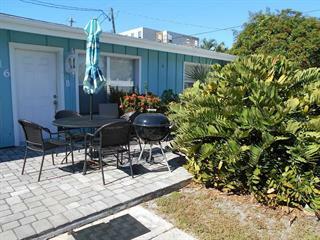 Stone walkways, verdant gardens, and outdoor decks encourage enjoyment of the beautiful Florida setting. 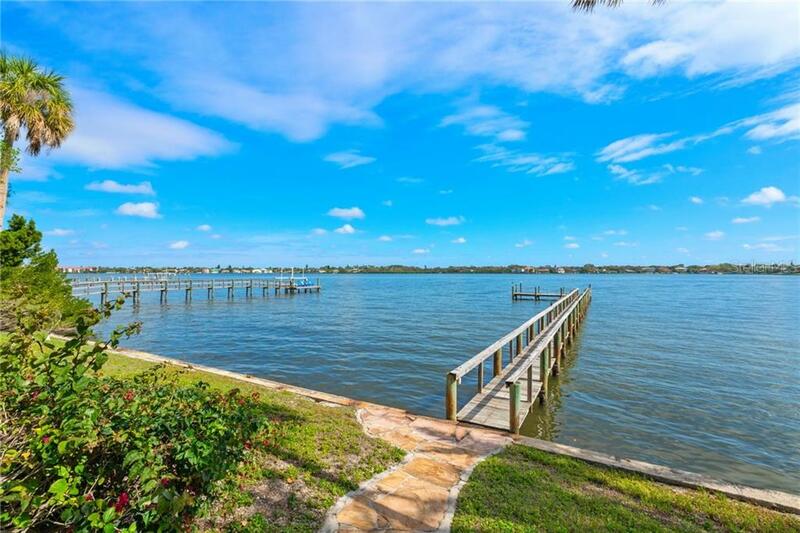 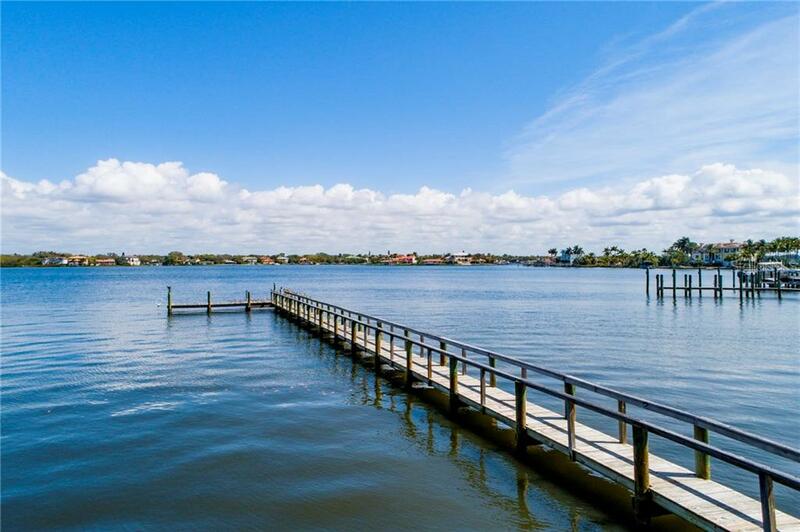 Poised on Little Sarasota Bay, spot dolphins, fish, and explore the sparkling waterways of the region from your dock. 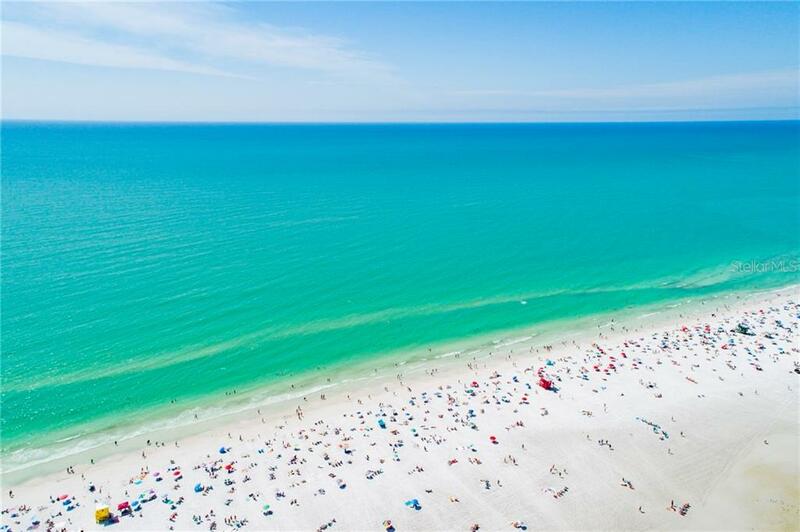 Walk or bike to Siesta Beach, renowned as one of the best beaches in the nation with soft white sands and warm Gulf waters.